OnStage Savannah, Saturday, April 8th–SO much FUN! There was a whole BUNCH of us in Savannah and we had an absolute blast just being together! And, oh yes, we also got to see the NEW Annual Catalog coming on June 2nd. I hope that you will LOVE it as much as we all did!! Look for more info SOON!! Here’s a card made for the monthly Quick and Easy Cards Class using s Flirty Flamingo for the background. 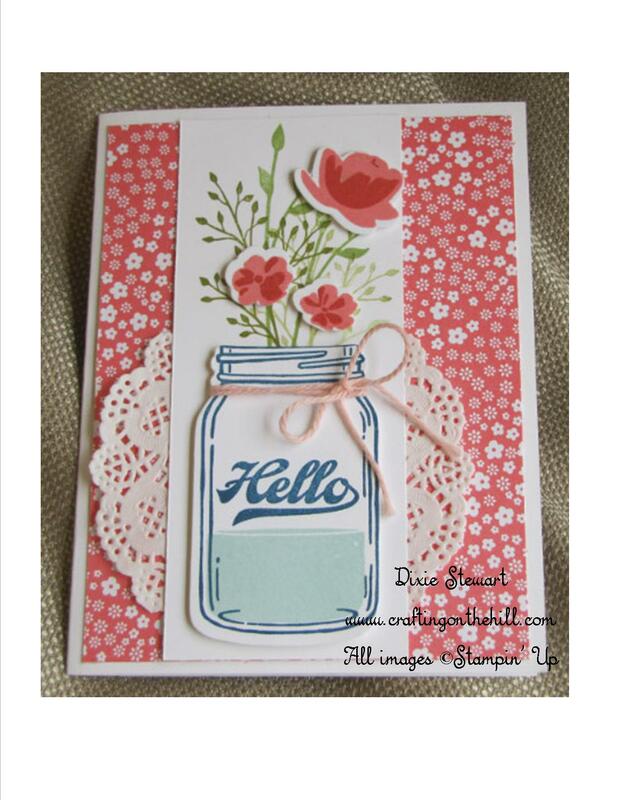 The Jar of Love Bundle is the coordinated stamp and dies set, with the jar stamped in Dapper Denim and flowers stamped in Pink Pirouette. The White Lace Doily just sets it off perfectly. Definitely one of my favorite coordinated stamps and dies bundles! Want to more about Paper Pumpkin? Come join us for this SPECIAL FREE EVENT! **Make two FREE make and takes using a Paper Pumpkin Kit! **See samples from past Paper Pumpkin Kits. **Already a subscriber? Come “play in the Patch”, bring your Kit and we’ll assemble our April Paper Pumpkin Kit. I’ll have alternative ideas and suggestions for you for this very special kit! Find out more about how YOU can subscribe! 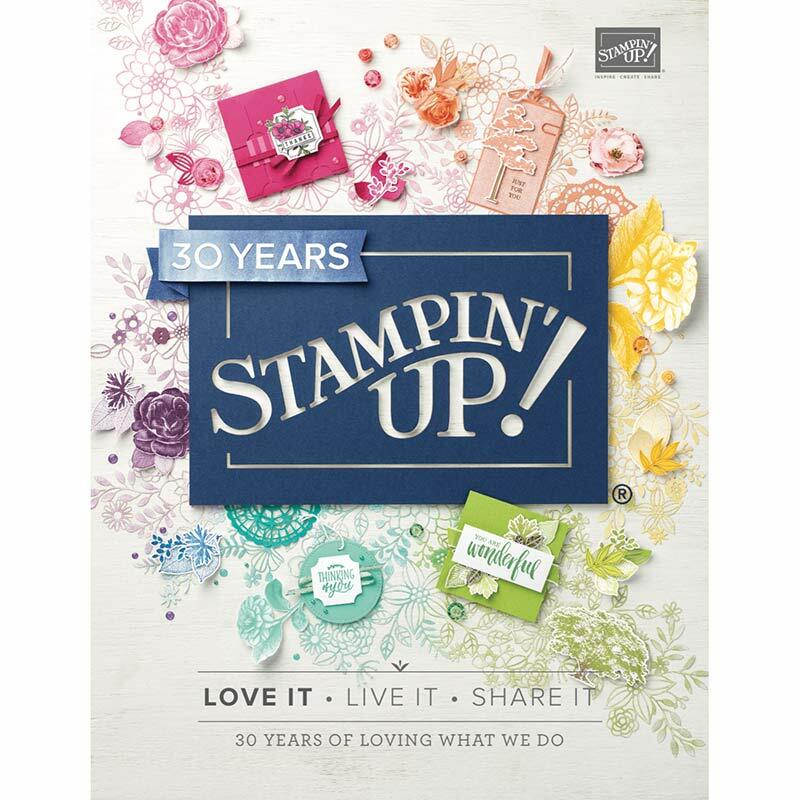 I would love to have come join the fun with Stampin’ Up on the Crafting on the Hill Team! Just go here to find out more! –Get an Ultimate Bundle Starter Kit of $125 of product of YOUR CHOICE for just $99! –20% discount on future orders! Want to know more? Just give me a call and we’ll talk! This entry was posted in 2016-18 Designer Series Paper, 2016-18 In Colors, Cards, Classes, Designer Tin of Cards Class, Diecuts, Paper Pumpkin, Retiring List, Special Offers, Stamps, Starter Kit, Uncategorized. Bookmark the permalink.